From Icy Tundras to Desert savannahs, master the art of landscape and environment design for 2D and 3D digital content. Make it rain, shower your digital scene with a snow storm or develop a believable urban scene with a critical eye for modeling, lighting and composition. 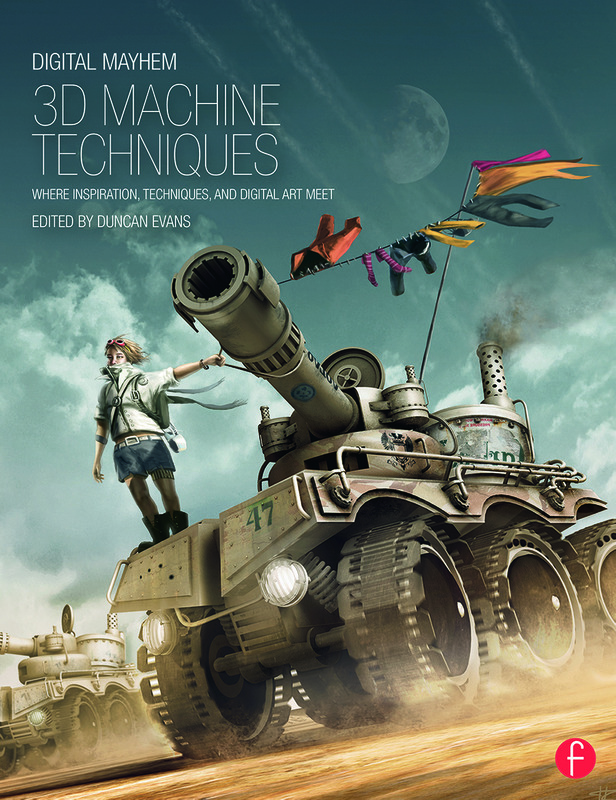 Move beyond the limitations of gallery style coffee table books with Digital Mayhem: 3D Landscapes-offering leading professional techniques, groundbreaking inspiration, and artistic mastery from some of the greatest digital artists. More than just a gallery book - each artist has written a breakdown overview, with supporting imagery of how they made their piece of work. Compiled by Duncan Evans, founder and inspiration behind 3DArtist Magazine, start your mentorship into the world of digital art today with some of the greatest digital artists in the world! Develop your landscape and background skills beyond the variety of free online tutorials and apply the most up to date techniques, like colour and contrast enhancements, sharpening, composition, lighting and more! Expand your digital canvas to include a variety of software techniques, tools and workflows featuring Photoshop, Painter, Maya and 3ds Max examples. A source of inspiration for digital artists everywhere: more than 50 artists and 700 stunning color images are showcased with an in-depth companion website that includes professional source files and further technique based skills development.